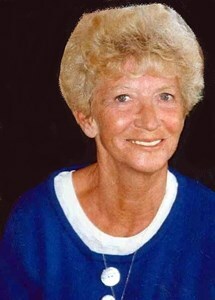 Newcomer Family Obituaries - Turid Wagner 1937 - 2019 - Newcomer Cremations, Funerals & Receptions. Turid Wagner, 81, passed away on Saturday, February 2, 2019 in Columbus, OH. Turid was born on September 26, 1937 in Drammen, Norway to the late Olaf and Solveig (Halvorsen) Johansen. She is survived by her children, Shannon K. Wagner, Sean H. (Stephanie) Wagner and Lisa (Michael) Welch; grandchildren, Erik, Aron, Justin and Jenna Wagner, Nicholas and Nicole McCoy, Trishin (Billy) Moore, Michael and Rossalina Welch; a host of great-grandchildren; sister, Marit Akseth; brother, Lasse (Gry) Vrale. Turid came to the United States from Norway in 1961. She moved to Ohio in 1971 . She was a "people" person and was employed in the restaurant business for most of her working life. Turid worked for Forest Park Inn, Fontanelle, Ricardo's, Carfagnas' and Wal Mart. She loved the Buckeyes and knitting. Family will receive friends on Friday, February 8, 2019 from 4 pm to 6 pm at Newcomer NE Chapel, 3047 E. Dublin-Granville Rd., Columbus, OH 43231. A funeral service will follow at 6 pm. She will be interned in her home town of Drammen, Norway along side her mother and father. Add your memories to the guest book of Turid Wagner. Sean and Shannon im so sorry for the loss of yout Mother. I know we havent seen each other in a long time but she has always been in my heart and on my mind. She was one of the greatest women that I have ever known. I am so sorry I didnt make it to the funeral, i have been sick with the virus thats going aeound. I love you all and you are in my prayers and thoughts. Shannon, I love you all. Turid was always, always, always a beautiful, proud woman of strength. I find peace in knowing that she is finally resting. I was sorry to read of Turid's passing. Several couples of us got to know her at the Fontanelle and we all had a great time. She was a very personable woman and such a hard worker. Ah for the good old days. Best wishes to her family. I knew Turid as a WALMART customer. We had many brief conversations while she was working. I will remember her as a hard working woman with strong love of family. She will be missed. I totally loved Turid, she was so all some to listen to and baby sitting Shannon and Sean was a great experience for me. She will truly be missed. Prayers for the family. I loved listening to your mom speaking Norwegian and yelling at Sean, didn't have a clue what she was saying but you could tell she meant it. God love your mom!